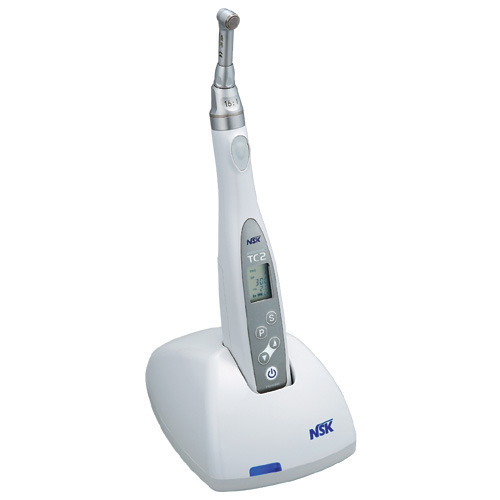 Rotary Endodontics is a way of performing the root canal utilizing a specific electrical handpiece. This tool often makes procedure faster and more reliable with less chance of complications. It is also quieter and smoother, without the loud grinding that accompanies manual files. Lastly, the fast treatment time, in conjunction with quieter instruments, makes for a much more comfortable and more efficient experience for patients.